Celebrate their big day in a big way Give your gifts a classic feel with these sleek and fun, Medium Mr. & Mrs. Wedding Gift Bags. With these bags your gifts will stand out. 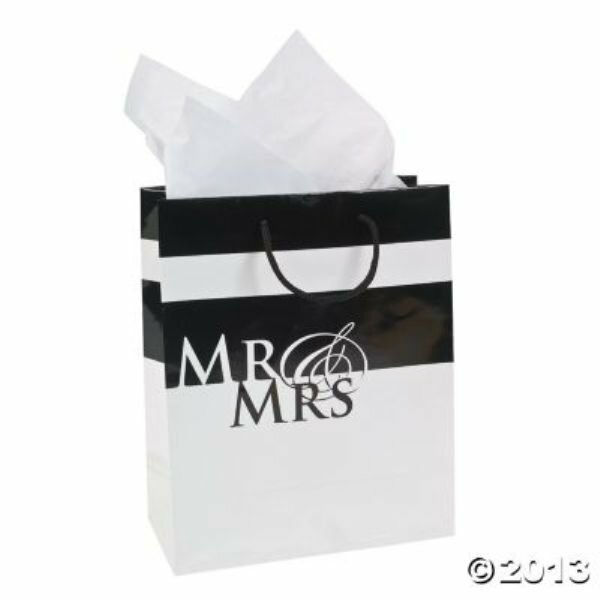 Add colored tissue paper to make the bags match whatever they've choosen for their wedding colors. Paper. 9 inches x 7 1/4 inches x 3 1/2 inches with 6 inches handles.